Staybull Flooring® uses time-honored woodworking techniques to create recycled hardwood flooring. Each custom made plank you install offers exceptional benefits over other eco-friendly products. Besides value, function, and beauty, a green home that installs Staybull Flooring® is aiding in the reduction of wood waste in the flooring industry. 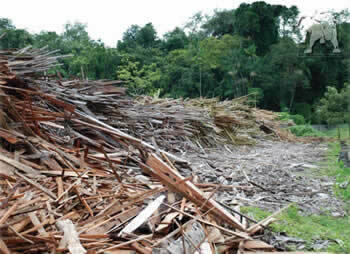 Lumber mills across the world waste tons of perfeclty good wood every year. 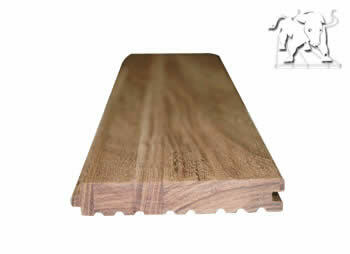 We recycle those hardwood strips and create a remarkable solid flooring product. 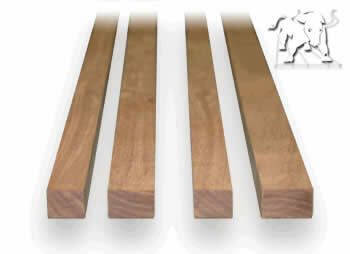 These strips are fused into planks with VOC-free adhesives. As you can see from the pictures and graphs below, typical flooring production creates a tremendous amount of waste. Staybull Flooring® fixes this problem and helps close the waste cycle. 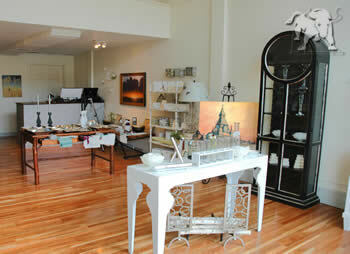 See more pictures of where we purchase the rips to create our brand of eco-friendly flooring. These planks are then milled carefully with modern equipment. 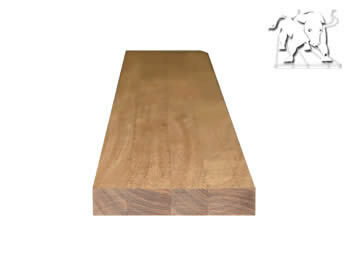 Each plank is UV cured and finished with Eco-Shield™. Every plank is carefully inspected by hand. 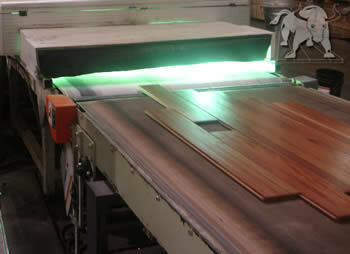 Check out our facility in North Carolina for more info on how our recycled wood flooring is made. The result? A durable and beautiful recycled wood floor that lasts. Recycled, Yet Refined: Unique pattern and color blend create remarkable green floors. Eco-Chic Design: Standard reclaimed flooring works great for traditional/rustic design. Staybull® was specially designed to fit today’s modern and contemporary interiors. Maximum Durability: Natural cupping resistance, even over an aged concrete slab. Simple Installation: Wider and longer planks reduce install time and labor costs. Cleaner Indoor Air Quality: Unlike Chinese-made bamboo, Staybull® is VOC-free flooring ideal for people with respiratory issues who can’t live with carpet. Superior Finish: High abrasion resistance perfect for high traffic areas. 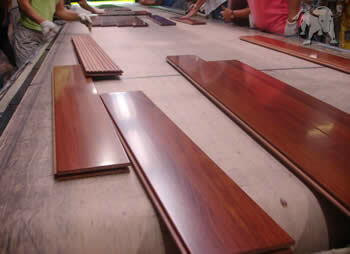 Made in the USA: Inspected by hand, each plank is custom made in our North Carolina facility. Customizable: Over 20 species to choose from. We can even mill FSC material for LEED credits. Order a free Staybull Flooring® sample or request a quote today. Areas in red show the waste discarded by the “old way” of hardwood flooring manufacturing. Staybull® is the only recycled hardwood flooring option that ends the solid wood flooring waste cycle.